With plenty of cozy built right into the seat, the Royal Bench exudes country style warmth from every angle. 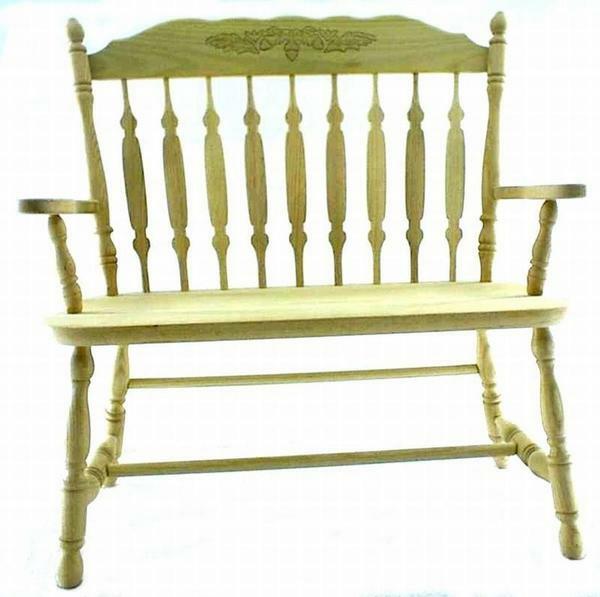 The turned legs, the delicate stretchers and the decorative bench crown all display fine Amish woodworking skills that speak to quality. Showcase fine woodworking in your foyer or hallway or add that extra seating in your dining room or family room. A simple and homey feel, a relaxed air and a comfortable seat contribute to making this solid wood bench both pretty as a picture and full of function. Choose from four custom made lengths for this Royal Bench. We offer a 36", 39", 48", or 60" width to best fit your space. Choose from oak, cherry, hard maple or brown maple wood, with each one offering solid wood strength that will last for decades. Browse more of our custom made Amish Dining Benches for a wide variety of options.